In this chapter we provide arguments based on recent research for considering the materiality of video-based web designs in teacher learning. Teacher professional learning has been widely studied in terms of models of development; a focus on the affordance provided by the materiality of video and associated scaffolding in a web design would enhance our understanding of teacher learning. 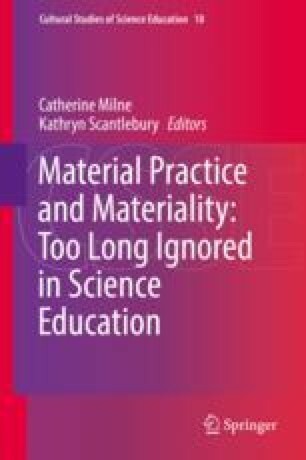 In particular this chapter focuses on the ways in which teachers can work collaboratively as participatory designers and users of a professional development website. As teachers work together, the group evolves differences in beliefs, knowledge and practices, and what is known as ‘productive conversations’ develop, which lead to critical examination of classroom interactions with teachers posing questions which probe one another’s thinking. Classroom video material has been shown to support the development of these kinds of interaction and is most effective when group participants fully engage with the practice they are observing. Since the individual approaches professional development from a particular social and historic context, the setting in which representations are examined is vital in terms of explaining how the viewer may interact with the representation, what they may consequently do in light of these interactions and, in terms of the website production, how these interactions affect the website design. The focus here is for teachers to use and learn from web-based material, hence the relevance of ‘bricolage’ introduced in Chap. 13, the ways in which users make-do with the tools that are available to them. Careful scaffolding of learning experiences is essential if teachers are to be guided through professional development programmes, and there needs to be opportunities for the intentions of the teachers who are on the website video being observed, to be ‘revealed’ and referenced against their own practice.